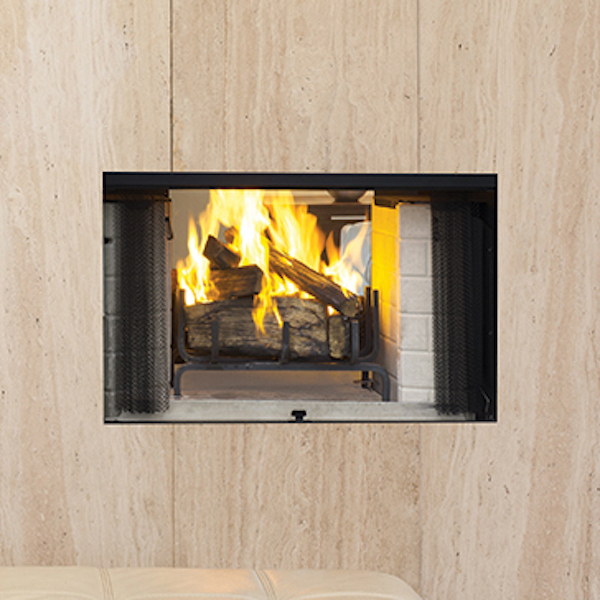 The stunning Craftsman ST and its two sided see-through design makes for the perfect fire presentation. Uses IHP 8DM double wall wood burning chimney. Durable powder-coat finish scratch resistant surfaces and carefree handling. Standard fuel grate, damper and mesh screens. White stacked refractory liners. Limited lifetime warranty.